From the best accessories for your best friend to actually finding that best friend, Big Al’s is bound to be the stop for all your pet’s needs. 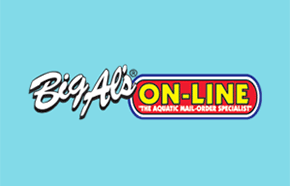 From the greatest deals on the greatest brands in pet food, toys, treats, and essentials such as leashes, tanks and collars… Big Al’s is sure to make your four-legged (or finned!) family member love you even more… If that is possible! Addition Elle Extra 60% Off Sale + 50% OFF Regular-Priced Items. End Dec 27. Amazon.ca Boxing day deals listed here. Ashley Homestore Boxing day flyer. Bad Boy Boxing week flyer now available. 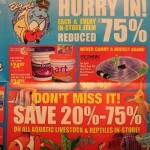 Bass Pro Shops Boxing day flyer now available. Ben Sherman Enjoy up to 60% off storewide in-store. Excludes new arrivals. Bench 50% to 70% off the entire site. Ends Jan 2 2018. Bentley 40% OFF SITEWIDE with promo code BOXING, excludes Select Samsonite & Skip Hop products. From 6pm Dec 25 to Dec 27th. Best Buy Canada Boxing Day flyer now available. Big Al's Boxing Day flyer now available. 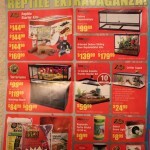 Bosley's By Pet Valu Boxing day flyer now available. Buffalo David Bitton 50% off everything + free shipping when you sign up. Canadian Tire Boxing day flyer now available. Chatters Salon In-store: Get 30% off Holiday Gift Packs and 20% off (almost) everything else. Offer ends December 31st. Centre Hi-Fi Boxing day flyer now available. Clearly Up to 50% off clearance glasses & Buy one, get one free sitewide using code CHEERS + 15% off contact lens orders $99+ and free shipping using code: 15OFFCL. Columbia Sportswear 25% off many styles. From 9pm PST Dec 25. Dell.ca Canada Boxing Day flyer now available. Dormez-vous Boxing Day flyer now available. EB Games Boxing Day flyer now available. Entertainment 30% off coupon books + free shipping using code MERRY. Ends Jan 2. Factory Direct Boxing Day flyer now available. Foot Locker 20% off $99 with Free Shipping using code BOXING20 + $99 Boots with Free Shipping using code BOOTBOX17. End Dec 27. Forever 21 Extra 30% sale items using code EXTRA30 (ends Dec 31). Garage Save up to 70% off all sale items. Ends 7AM Dec 30th 2017. Giant Tiger / Tigre Géant Boxing Day flyer now available. H&M Canada In-store: There’s an exclusive offer for the first 100 people in line that morning. The first 100 people in line will receive up to $300 off their purchase on Boxing Day. Plus, find deals from $5 in all departments all Boxing week long. Hart Stores Boxing Day flyer now available. Home Depot Boxing day flyer now available. Home Hardware Boxing Day flyer now available. Home Outfitters Boxing Day flyer now available. HS Sweden 30% off + Free Shipping. Ends Dec 30 at 6pm EST. Ice Jerseys Save 40% Off Sitewide using code 40BOX (Ends Dec 26 2017) + Up to 80% OFF Clearance Outlet (Ends Jan 5 2018). Indigo Extra 30% off sale items with code BOXING30 + Up to $50 off select Fitbit trackers + 40% off best books of the year, NERF toys, novelty gifts and much more. End Dec 31. J. Michaels Entire store 50% off original fall items. In-store and online. Some exceptions apply. Laura 20% OFF + Free Shipping. From 8pm Dec 24 until Dec 25 2017. Len's Mill Stores Boxing Day flyer now available. Leon's Boxing Day flyer now available. Linen Chest Save up to 80% + Save 25% on all regular priced items AND EXTRA 10% off thousands of items already on sale. Ends Jan 7 2018. 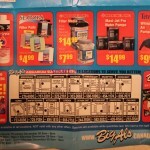 London Drugs Boxing Day flyer now available. Melanie Lyne 20% OFF + Free Shipping. From 8pm Dec 24 until Dec 25 2017. Mountain Hardwear 25% off many styles. From 9pm PST Dec 25. NYX Cosmetics Get up to 50% off on selected products and colours. Old Navy 25% off your order using code MERRY (ends tonight, Dec 25) + Up to 60% off sitewide (ends Jan 3) + All Jeans on sale 50% off (ends Jan 3) + Up to 50% Off activewear from $8 (ends Jan 3) + Earn Super Cash with your order (ends Jan 21). Paulmac's Pets Boxing day flyer now available. Penningtons 50% OFF Regular-Priced Merchandise + Extra 60% OFF Markdowns. End Dec 27. 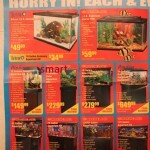 Pet Valu Boxing day flyer now available. Roots up to 50% off select sale styles + 40% off all Footwear. End Jan 1. Real Canadian Superstore Boxing Day flyer now available. Shoppers Drug Mart Boxing Day flyer now available. Sleep Country Boxing Day flyer now available. Sorel 25% off many styles. From 9pm PST Dec 25. Souris Mini Up to 70% off + FREE $10 gift card for every $70 spent. Ends Dec 27. Sport Chek 20% to 60% off (ends Dec 28) + free shipping on all ordering using code SCSHIP (limited time only). Sports Excellence Boxing day flyer. Staples Canada Boxing Day flyer now available. Surplus Furniture & Mattress Warehouse Boxing Day flyer now available. The Body Shop 50% off site wide + FREE shipping. Ends Dec 28. The Brick Boxing day flyer now available. The Home Depot Big savings on appliances, tools, outdoor and much more + free shipping on hundreds of online items + buy more save more on many GE and LG appliances + up to 50% Off Christmas lights, trees and decor + view the Boxing Day flyer deals here. The Sleep Factory Boxing day flyer. Tisol Pet Nutrition And Supply Stores boxing day flyer 2017 now available. Toronto Zoo 50% OFF Zoo Admission on Boxing Day. All proceeds from this day go towards the Endangered Species Reserve Fund. 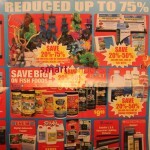 Total Pet Boxing day sale flyer now available. Toys R Us Canada Boxing Day flyer now available. 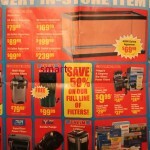 Trail Appliances Boxing Day flyer now available. Visions Electronics Boxing Day flyer now available. Weight Watchers 50% off 3 month or 6 month packages. Ends Jan 2 2018. 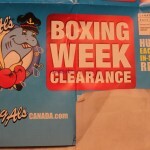 Click here to view Big Al's Boxing Week Flyer that's valid from December 26 to 31, 2016.